The current rowing course on Lake Burley Griffin. Photo: Tim Gavel. For many years, people in rowing have been talking about the length of the ACT course on Lake Burley Griffin with plans to extend to the Olympic distance of 2,000 metres raised on numerous occasions. It has been raised again to me this week, in the wake of the nationals staged at the Sydney Regatta Course. At the moment the Canberra course is 1,800 metres, effectively 200 short of what is required to stage events, such as the National titles. At the behest of ACT Rowing a number of years ago, the National Capital Authority conducted a study to determine if it was possible to extend the course from Government House to Yarramundi Reach. The study also looked at the potential costs associated with lengthening the course by 200 metres. The outcome was that it would be possible to extend the course, but it would still fall short of requirements, would result in the course being more exposed, and would cost millions of dollars. The value of the redevelopment would also need to take into account the proximity of the number one rowing course in Australia at Penrith Lakes. One thing to consider when contemplating spending significant funds on a course upgrade is the number of rowers racing the 2,000-metre distance in the first place. Eighty per cent of races take place over the 1,000 metre and 1,500-metre distances. One issue raised to me this week was there was also a requirement to have consistency of depth throughout the course as well as extending the width to ensure there is a minimum of eight lanes. Another option raised in the past has been to base the boating area in the current car park expanse, at the base of the arboretum. But according to some, this option would be unpalatable to crews moving boats across land to the lake. Beyond extending the course, one factor to be considered when assessing the possibility of staging major regattas is the potential for volunteer burnout and stresses on the system. Week-long regattas can really stretch the volunteer base. 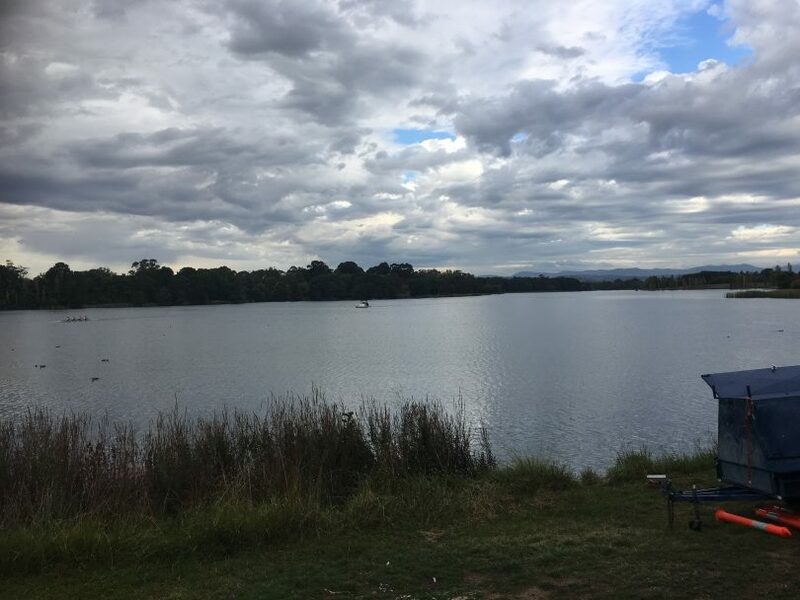 The current course is highly regarded, with the national men’s rowing team based in Canberra, utilising the venue for timepieces, while the ACT hosted the 2013 National Masters titles. And there is a strong rowing culture in Canberra as evidenced by the performance at the National titles. That’s not to say it’s impossible to establish an Olympic-quality rowing venue on Lake Burley Griffin. But there is just so much to consider, not the least being the cost. As a rower who utilises the course both in training and racing, this is an interesting piece. As much as I would like the course to be 2000 metres, I don’t think the cost can be justified.